Stay on-trend with the latest style with these large oval patterned creole earrings. Created using luxurious 9 carat yellow gold, these creole earrings will be the perfect new addition to your collection of jewellery box essentials. 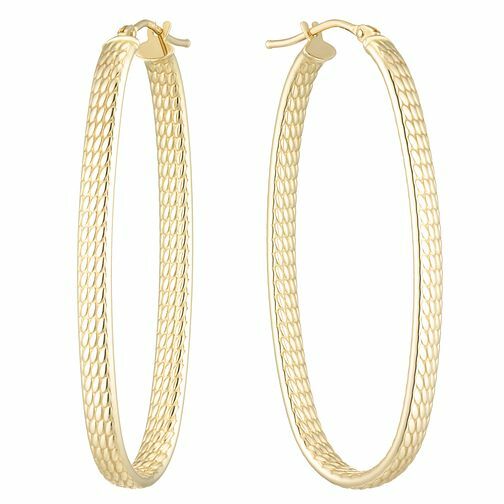 9ct Yellow Gold Large Oval Patterned Creole Earrings is rated 1.0 out of 5 by 1.